From the treasure trove of old negatives that are currently being scanned by someone called Jacob. 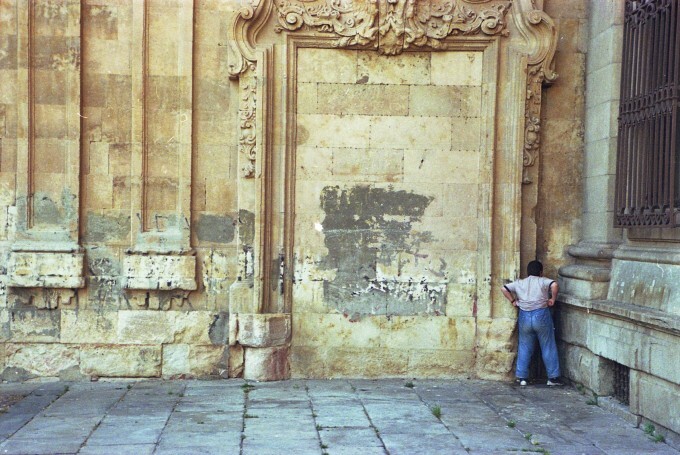 I think this was Salamanca in 2002. In the meantime here in London in 2015 I've been making a living retouching shampoo bottles for 2.5 weeks straight now which is making me go a bit mental. But we're almost there... No shampoo for me for a while, I'm traumatized.